Fathers in Little Hulton are planning to hold an open meeting on Saturday 9th May to discuss the setting up of a unique fathers-only ‘men shed’ to help their children. The meeting is the brainchild of local group Salford Dadz whose aim is to improve the wellbeing of children by helping local fathers overcome their problems. There is an international man shed movement that focuses on retired men, helping them to feel useful again, share their skills and overcome social isolation. But in Little Hulton Salford Dadz have discovered that those sorts of feelings exist in younger men, especially amongst those who can’t find a job. 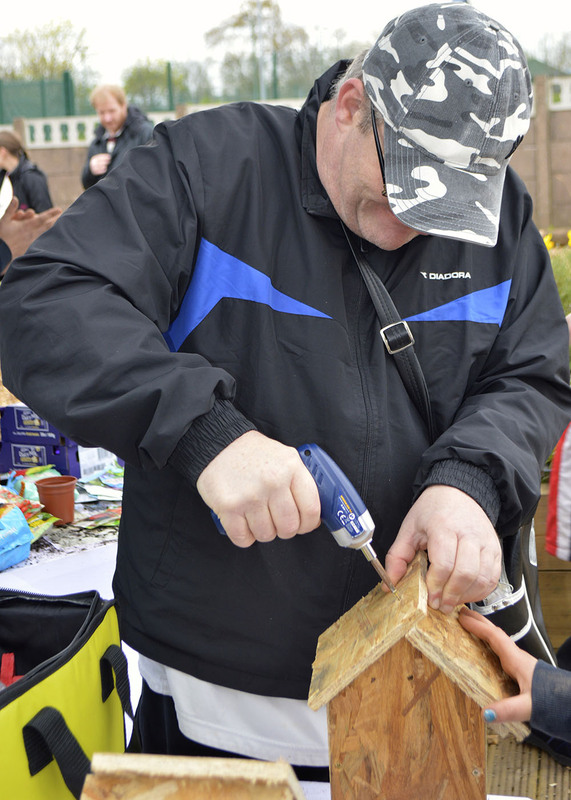 Pictured – Little Hulton father Matt O’Donnell making a wooden bird box.